I'm sorry I can't make it to your service today in Los Angeles. I will be thinking of you and I'll never forget your fabulous style and weakness for St.John and fur coats (though I don't agree with them), our trips to Disneyland (and later the trips to the Nordstrom at Westside Pavilion when I was older), how you always sent the family See's Candy and their freakin' awesome lollipops every Hanukkah, and of course, how you taught me to be a Gin Rummy champ! Aww, Erinn, I am so sorry! Your grandma sounds like a wonderful lady! What a sweet picture of the two of you. I am sure you will treasure your special memories of her always. I am so sorry for your loss lady. I'm so sorry for your loss. Your grandmother sounds like an amazing woman :) My thoughts and prayers are with you. I'm so sorry for your loss, Erinn. E, I am so sorry. 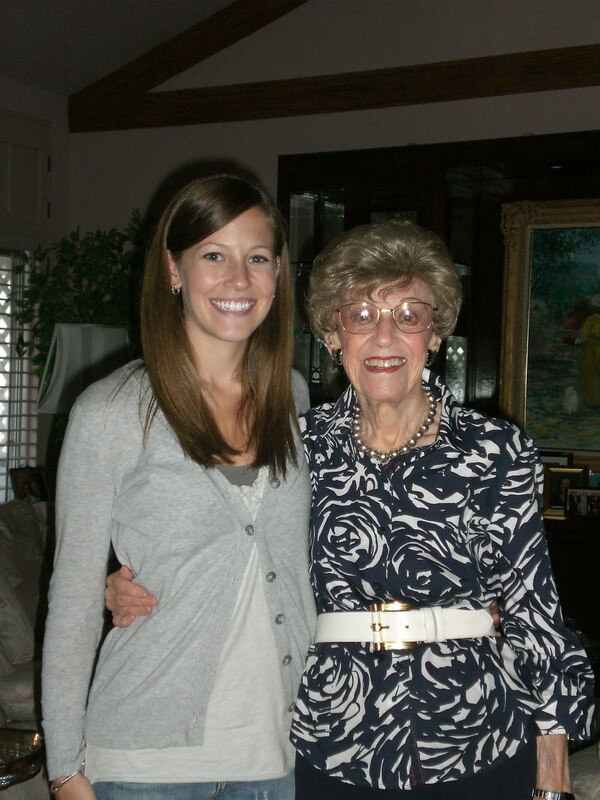 Grandma Sandy was a beautiful woman and sounds like one amazing lady. Random reader, but I felt I had to express my condolences. Grandmothers are the most special people in the world, and I just happen to have a Grandma Sandy, who is my best friend. Very sorry for your loss.